Ryan Spooner, a second round pick by the Boston Bruins in 2010, is finally showing he may have what it takes to be a productive everyday NHL forward. Many people expected the 23-year-old to be on the Bruins opening day roster coming into this season, and sure enough he made the cut. Spooner had appeared in 23 games for the B's last season, and the majority of fans liked what he brought to the table. He's a slick skater, with strong offensive instincts, skills that had a lot of people talking. However, defensive liability was an issue, and head coach Claude Julien likes his forwards to be two-way players. Julien stressed this point at beginning of the season saying, "He's an exciting player, he's got good speed and he's got a lot of things but we all know that in this league if you're a liability it's hard for any coach in this league to be able to have confidence in putting him on the ice." (Via NHL Bruins). It's been tough for Spooner to crack the lineup over the past few seasons. 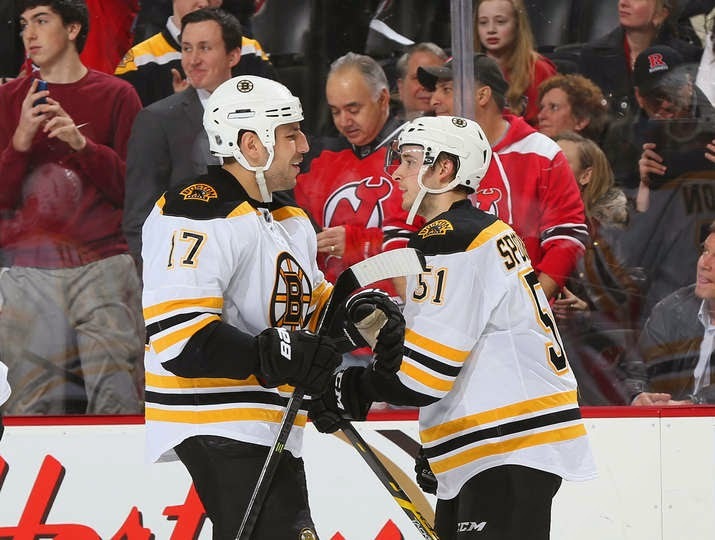 The one thing that the Bruins have depth in, is the center position. There simply wasn't any room for him to slot in. Now, we can debate if he's actually better than a center or two on the big club, but that's an argument for a different day. It took a little longer than most expected, but he finally scored his first NHL goal in his 35th NHL game. The goal came in overtime against the New Jersey Devils on February 27th. It was a beauty of a shot as he ripped it past Cory Schneider for the game winner. With David Krejci out for an extended period of time, Spooner was, and is, finally able to find some consistency in line mates and playing time. He's also taken Krejci's spot on the B's revamped powerplay. He was able to pot a powerplay goal last night in his hometown debut in Ottawa, in what was another strong outing for him. Spooner is easily playing the best hockey of his career, as he is currently riding a six-game point streak. In that time, he's registered three goals and four assists. He has eight points in 13 games this year for Boston. While he still has some lapses on the defensive side of the puck, as long as he keeps on producing, Claude Julien can't be too upset with him. As the Bruins continue to fend off teams trying to catch them, Spooner will look to continue helping the club succeed on that front. It will be interesting to see what Julien ends up doing with him once a healthy David Krejci returns.